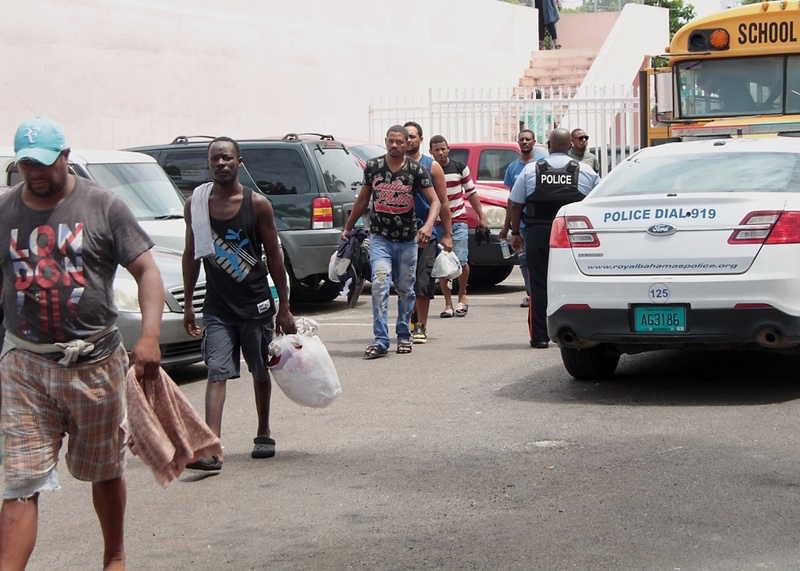 Coral Harbour Base, 12 JUL ‘18 (RBDF): Less than a week after they were apprehended by the Royal Bahamas Defence Force, 46 Dominican fishermen were charged before the courts on Thursday afternoon, July 12th, in New Providence for poaching in Bahamian waters. (2) Possession of a Grouper less than 3 pounds. (3) Possession of Fresh Crawfish during the closed season from April 1st – July 31st 2018. (4) Possession of Undersized Crawfish. (5) Possession of Prohibited Apparatus. (6) Engaging in Illegal Foreign Fishing within the Exclusive Fishery Zone of The Bahamas. (1) Possession of an Unlicensed Shotgun. All the men pleaded not guilty to all of the charges. The matter was adjourned to October 22nd 2018, and they were all remanded in custody at the Bahamas Department of Correctional Services. It was on Sunday July 8th that a Dominican 70-foot steel hull Fishing Vessel ‘Ronnye’ was apprehended approximately 20 nautical miles south east of Cay Lobos by HMBS Madeira under the command of Senior Lieutenant William Sturrup. Approximately 33, 000 ounds of fishery products were confiscated from that vessel. Two other Dominican Fishing Vessels that were in the vicinity fled the area into Cuban waters. This arrest comes on the heels of the apprehension of six American nationals who were found fishing in a prohibited area on Saturday past in the Exuma Cays Land and Sea Park by the Park’s Warden with the support of Defence Force Marines assigned to the area. They have since been charged before the courts in Nassau. Prior to that incident, HMBS Durward Knowles apprehended 4 Dominican fishermen on a 50-ft Dominican fishing vessel, ‘Brailyn’ for poaching on the Great Bahama Bank on June 16th. They have also been charged before the courts in Nassau. Three of the individuals were fined twenty thousand dollars ($20,000) or 8 months in jail, and the other was fined ten thousand dollars ($10,000) or 4 months in jail.